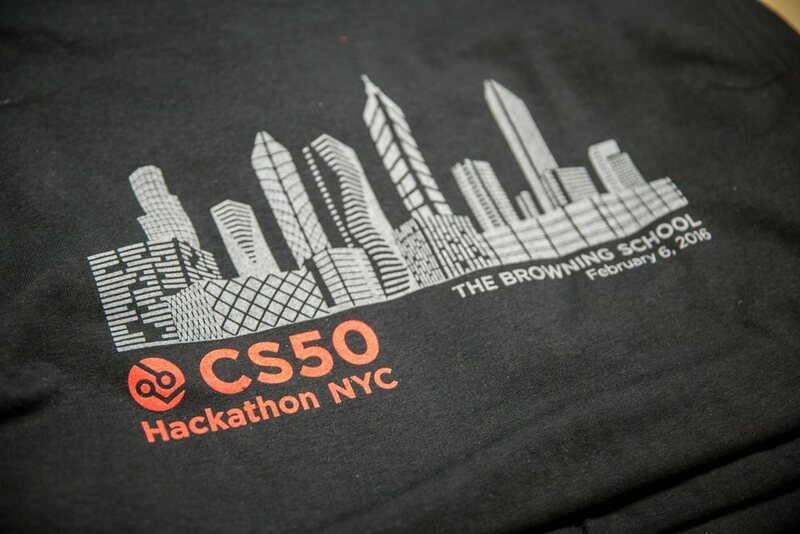 CS50 is an on-campus and online introductory course on computer science from Harvard, and as of 2015, Yale University. It is one of the most popular Massive Open Online Courses of all time with a total enrollment of about 300,000 worldwide. 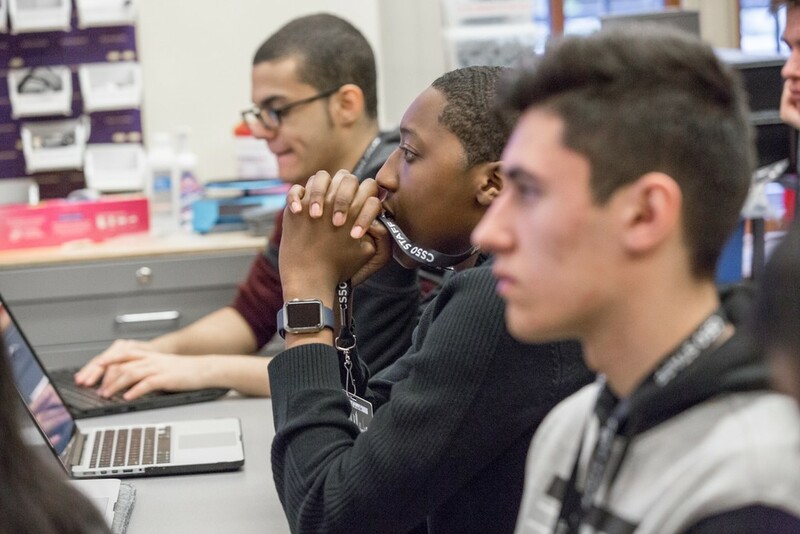 With support from Microsoft, CS50 is being adapted into an Advanced Placement high school course. Browning is one of the few schools across the country piloting this new curriculum. 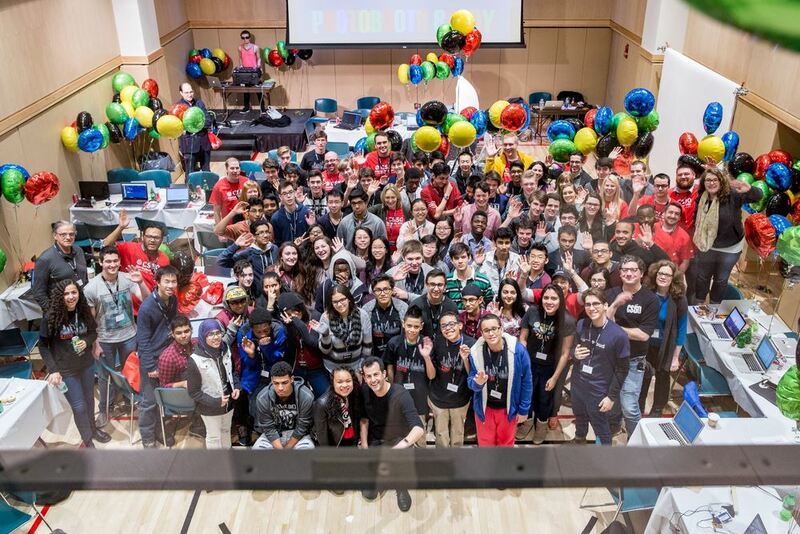 On Saturday, February 6, students and teachers from nine different schools along the east coast as far as Buffalo and Pittsburgh came together at Browning for the CS50 AP Hackathon led by Harvard’s computer science professor David J. Malan and his team, who led the students through different problems sets. Though students were at different spots throughout the curriculum, everyone was working together in a relaxed environment, helping each other, and having a great time. The event was full of music, candy and learning. Students left the event with lots of “swag,” including T-shirts, stickers and bags, all with the Browning name emblazoned on it. Director of Academic Technology Mr. Khan reports: A highlight of Dr. Malan’s opening speech to the schools was when one of our Form V boys, Terrell Edwards, was invited to do the now famous CS50 stunt of ripping a giant yellow phonebook in half to find the name “Mike Smith” more efficiently. Dr. Malan then had the students and teachers work together to count the number of people in the room. We epically failed, and he announced that it would certainly not be the only “bug” we found that day. It was a great event with lots of excitement. Dr. Malan is a mini-celebrity in our classroom, so the students were excited to see him and the CS50 team and learn from them directly versus the videos we have been utilizing in class. A visiting teacher from the Hopkins School recounted: I am not sure they would have been any more excited if they had just spotted Adele. They truly acted like this amazing professor of computer science was a rock star, and I couldn’t have been prouder. 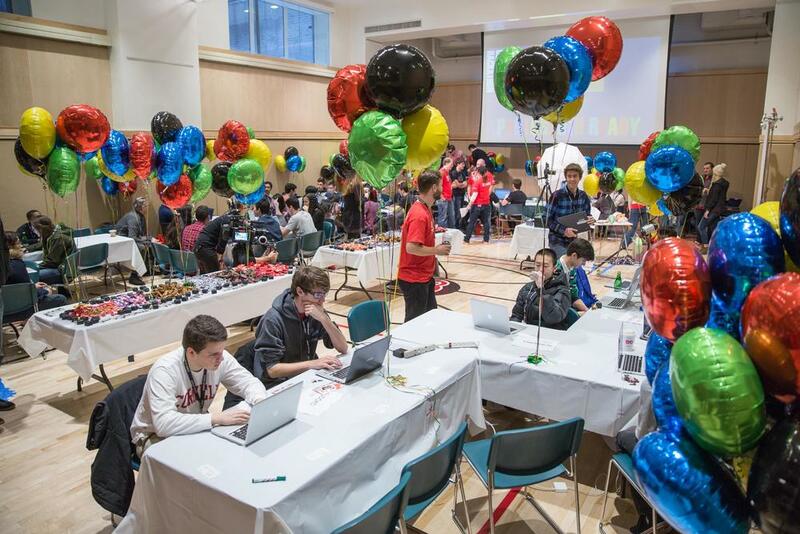 The next hackathon is on Sunday, March 13, at Grand Central Tech in Midtown. Browning is hosting with Riverdale and Columbia Prep. You can find out more at aycnyc.org. Newer PostArt & Technology Departments Ask: What Makes A Better Designer Today?